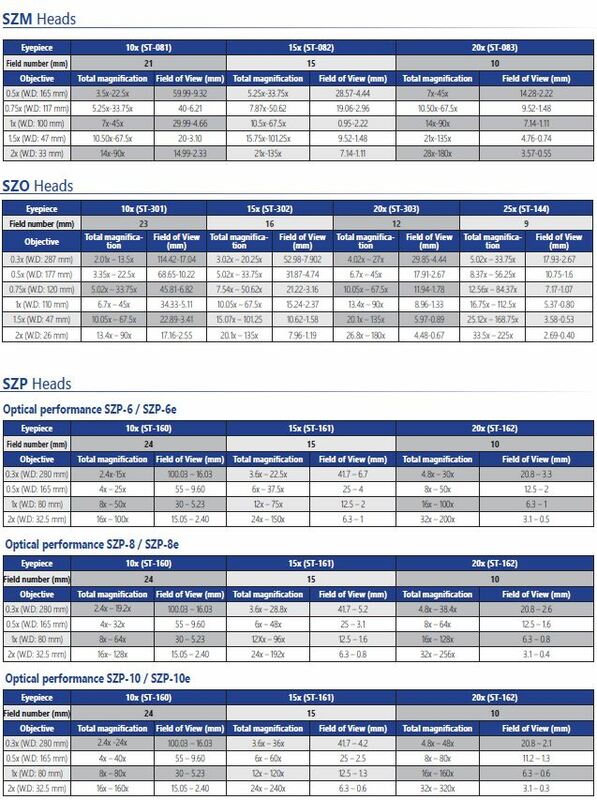 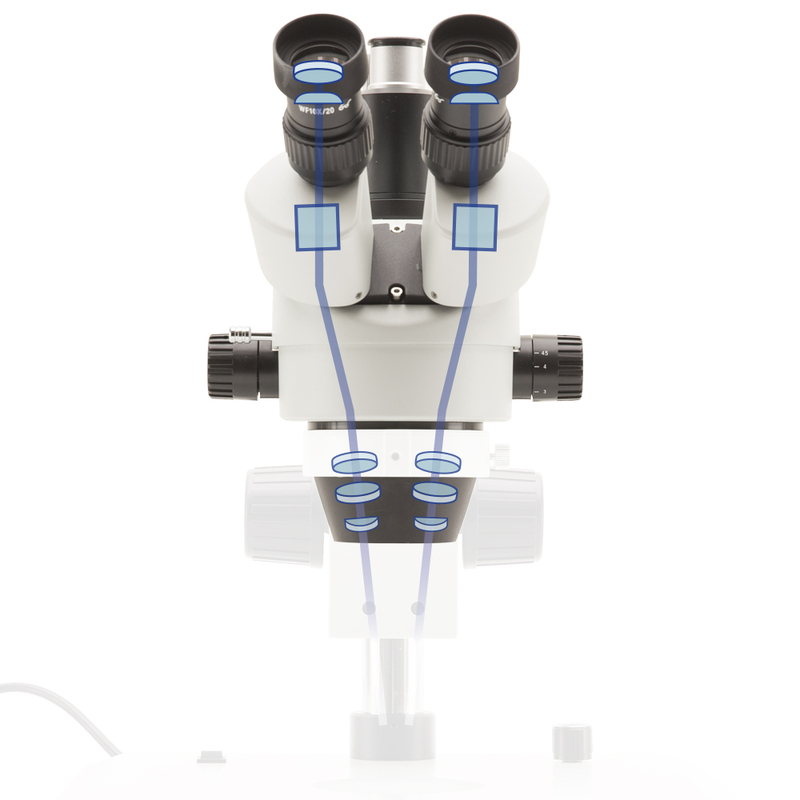 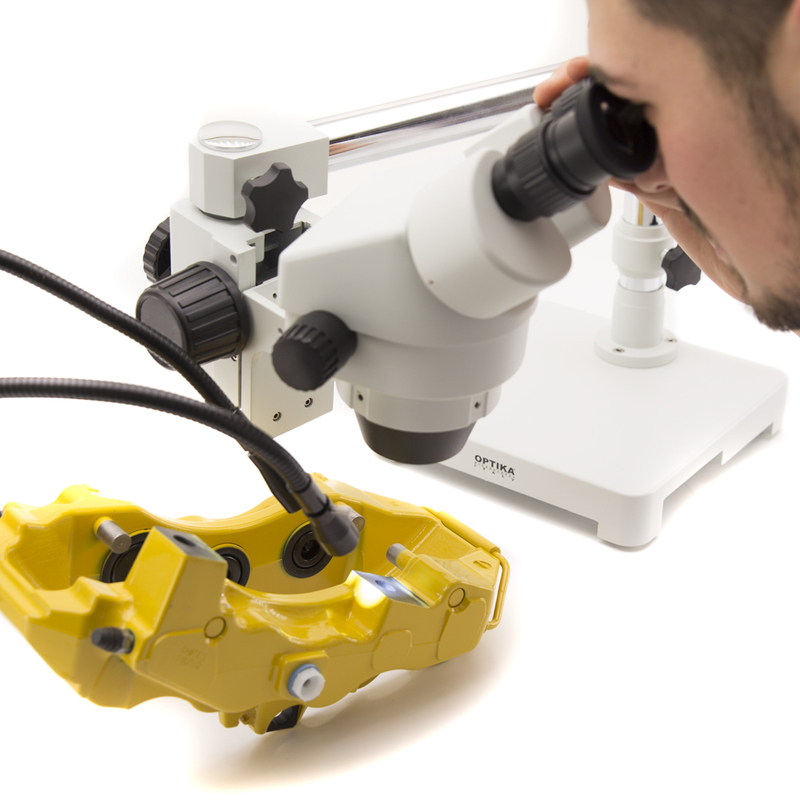 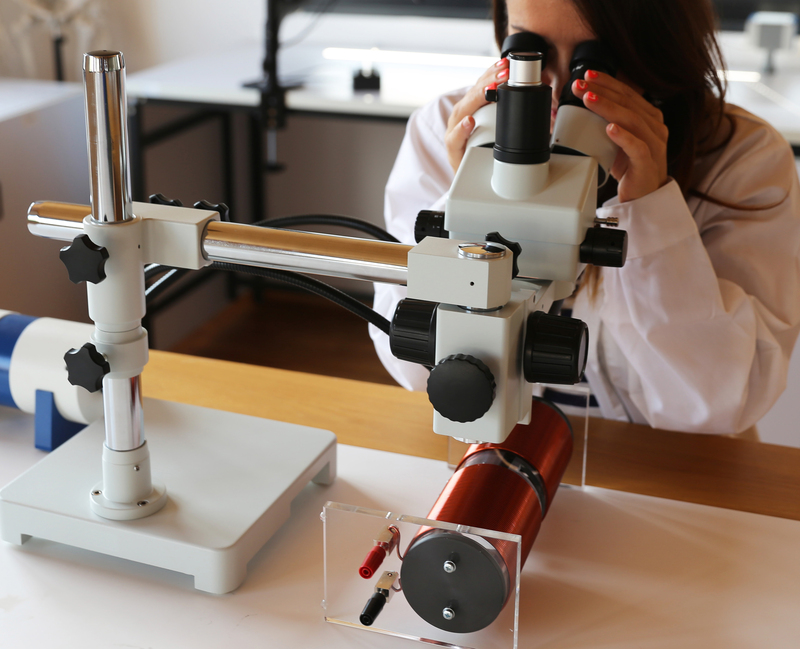 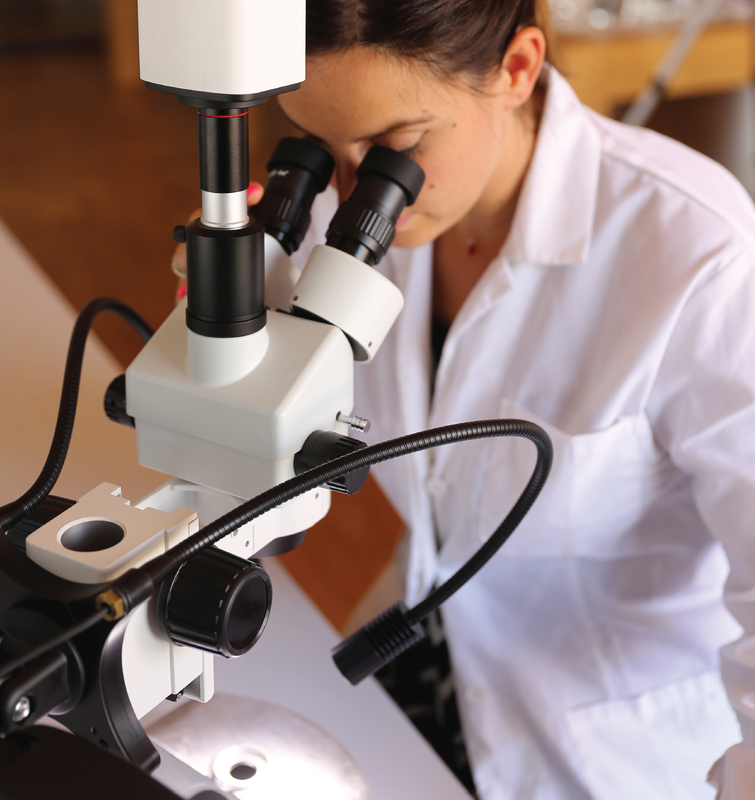 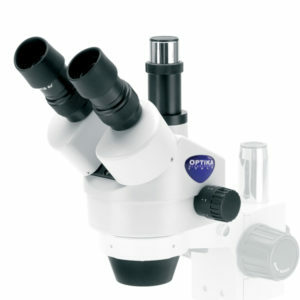 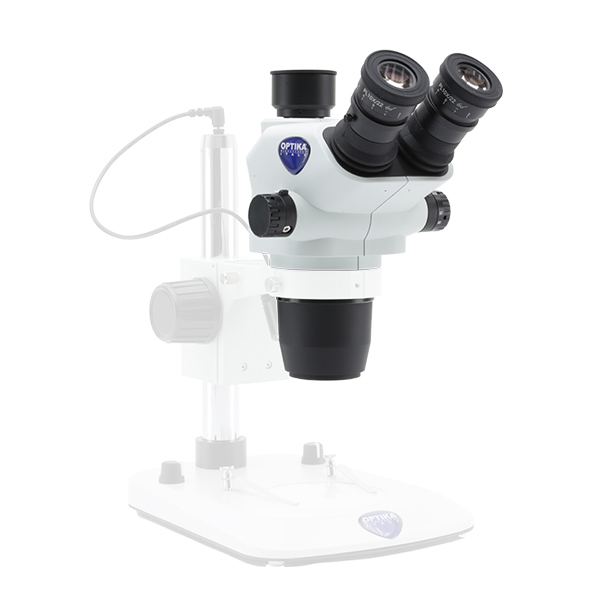 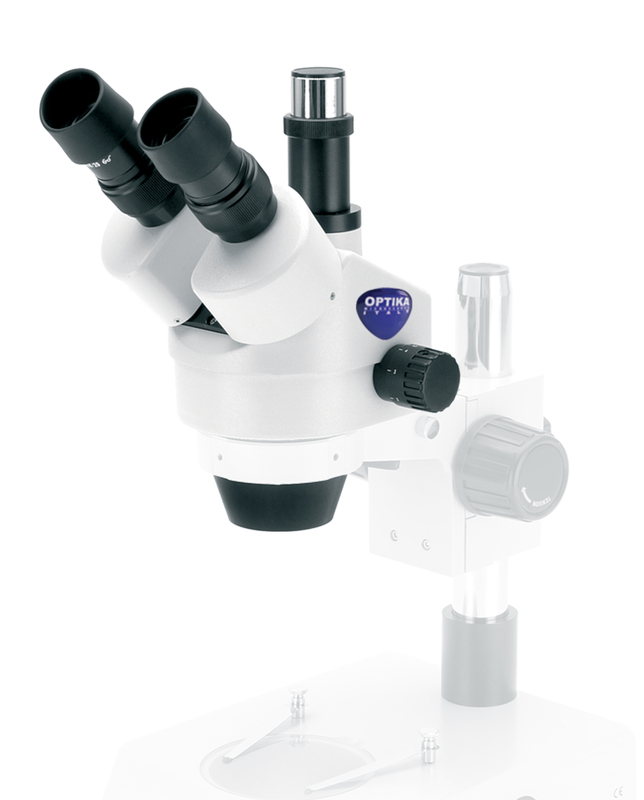 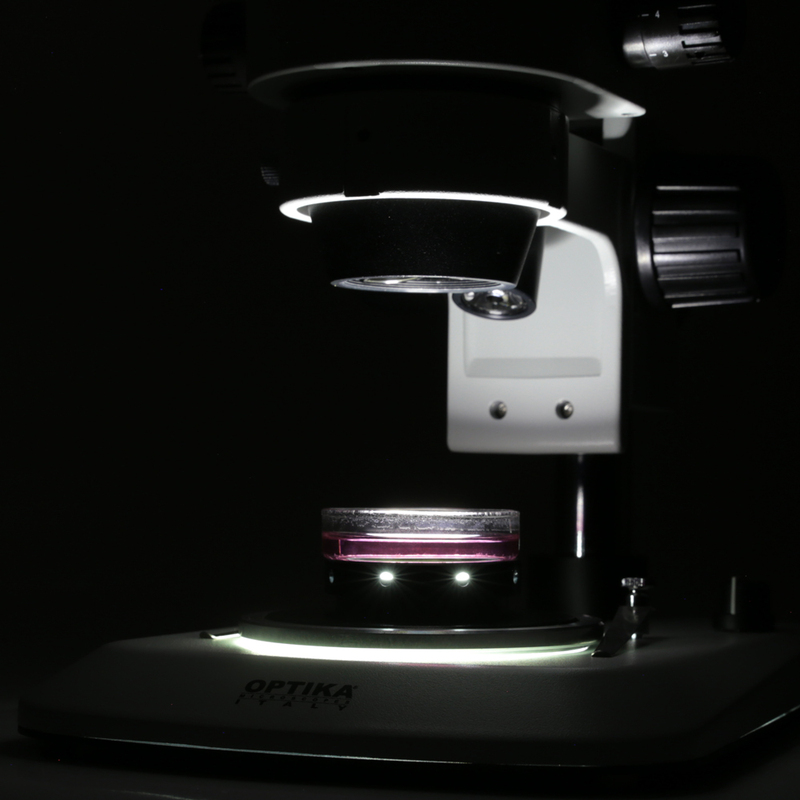 OPTIKA provides three series of stereomicroscope heads based on different field number, zoom level (and consequently, zoom ratio), inclination, and working distance. 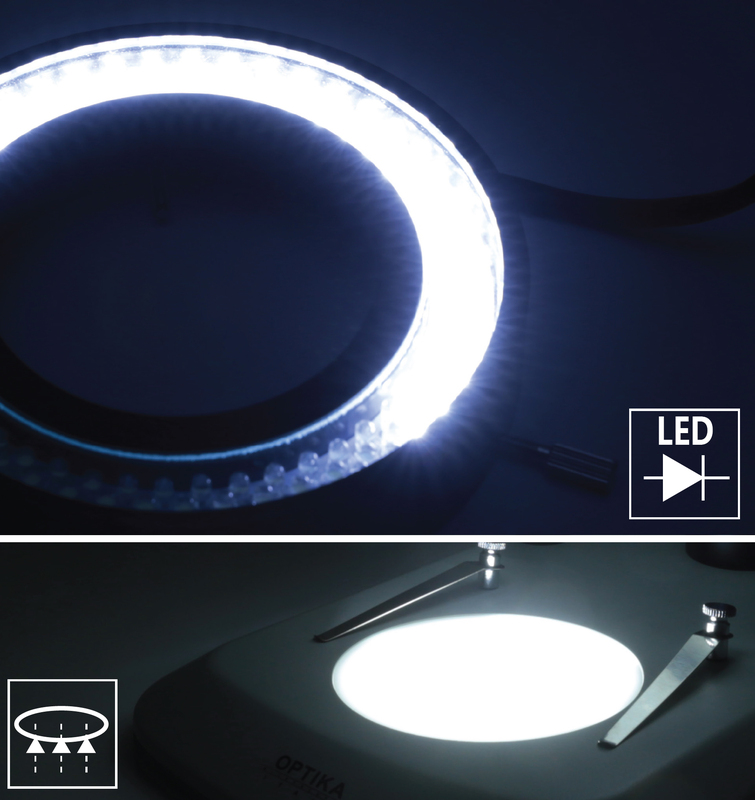 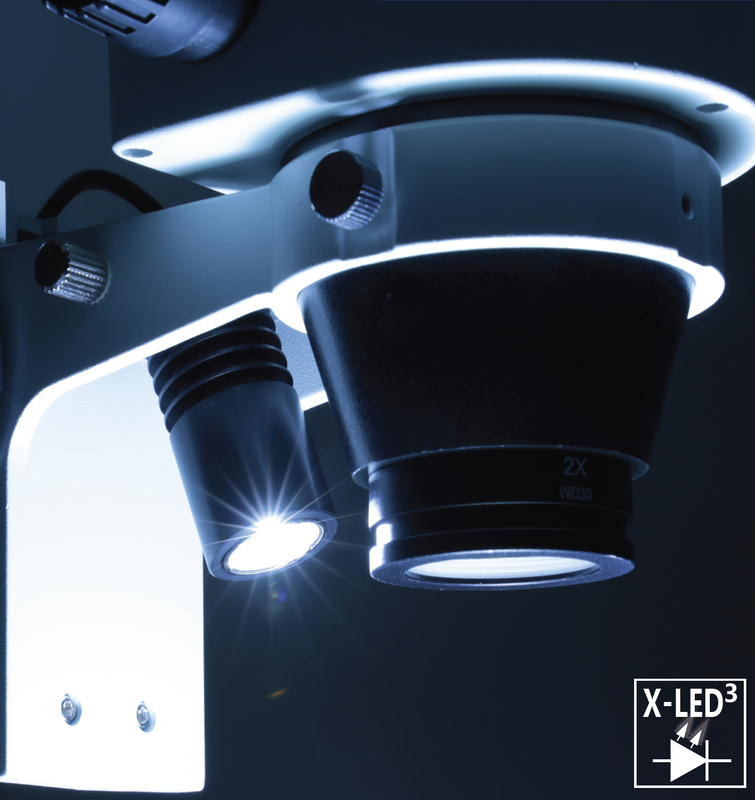 An even more substantial differentiating element is also the optical system: choose between Greenough or Galilean, according to the application. Greenough, binocular stereozoom head with 23mm FOV, pillar stand and ultra-flat base. 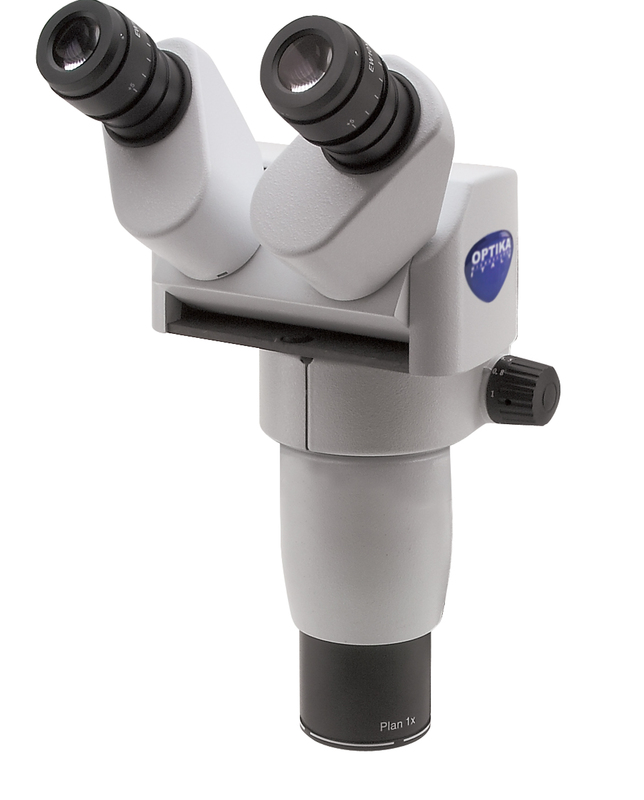 Click-stop zoom with 6.72:1 ratio and 110mm working distance. 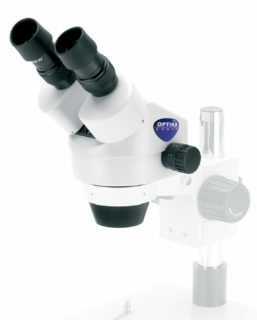 To be matched to a stand with focusing system. Greenough, trinocular stereozoom microscope for simultaneous eyepiece and camera observation with 23mm FOV, pillar stand and ultra-flat base. 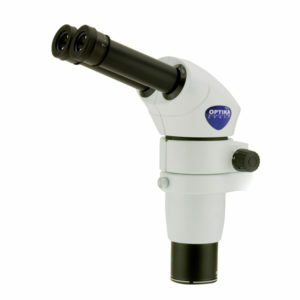 Click-stopzoom with 6.72:1 ratio and 110mm working distance. To be matched to a stand with focusing system. 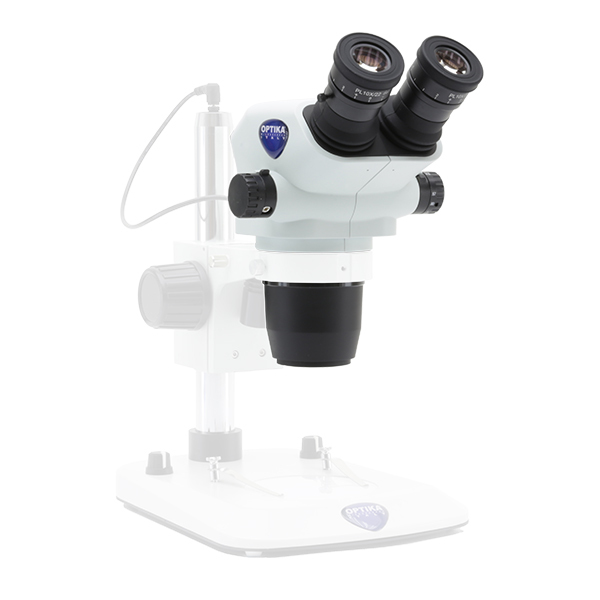 CMO (Galilean), binocular stereozoom head with large field number (24mm), continuously adjustable zoom with 6.25:1 zoom ratio and 80mm working distance. 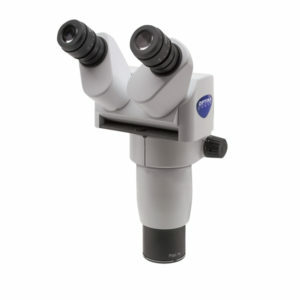 CMO (Galilean), binocular stereozoom head with large field number (24mm), continuously adjustable zoom with 8:1 zoom ratio and 80mm working distance. CMO (Galilean), binocular stereozoom head with large field number (24mm), continuously adjustable zoom with 10:1 zoom ratio and 80mm working distance. 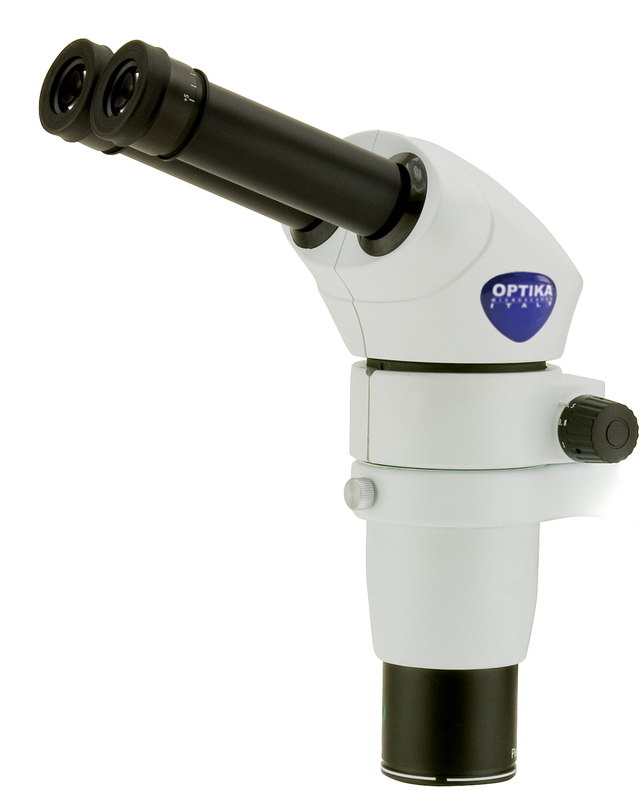 CMO (Galilean), binocular stereozoom ergonomic head ensuring ultra-comfortable body posture, with a settable inclination 0-35°, diopter adjustment on both the eyepieces and 6.25:1 zoom ratio. 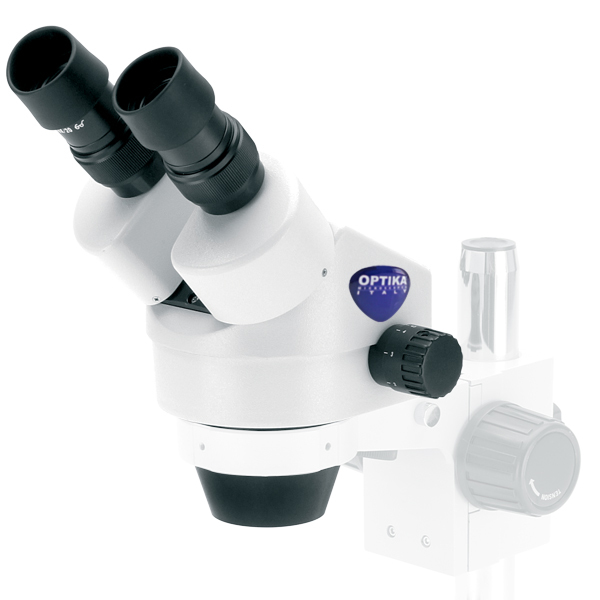 CMO (Galilean), binocular stereozoom ergonomic head ensuring ultra-comfortable body posture, with a settable inclination 0-35°, diopter adjustment on both the eyepieces and 8:1 zoom ratio. CMO (Galilean), binocular stereozoom ergonomic head ensuring ultra-comfortable body posture, with a settable inclination 0-35°, diopter adjustment on both the eyepieces and 10:1 zoom ratio.